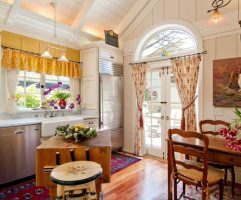 We have chosen country style as a topic for this article as consider its unobtrusive and natural character to be quite valuable at times of progress. 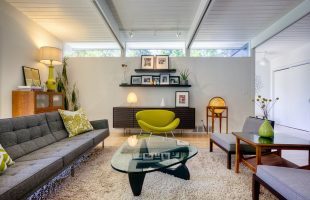 It is possible to say that this style of interior design provides us with the opportunity to bear in mind the beginning and not to forget about the roots. Apart from the main benefits, country style encompasses precious beauty, reflected in the style`s diversity. At the same time it remains adherent to the best traditions of this or that nation, demonstrating the rural charm of each of them through simple things, known since childhood. This style is unique for every country; the most famous are English, French and American types. There is a big amount of attractive peculiarities in each of them and we will generalize this information a little and describe you the ways of embodiment of this style in different rooms` interiors. Whatever country`s spirit is reflected in the ideal country style, it is always a key to the pristine wilderness, coziness as well as a home and a bit naive way of life, possible to be seen in the village. 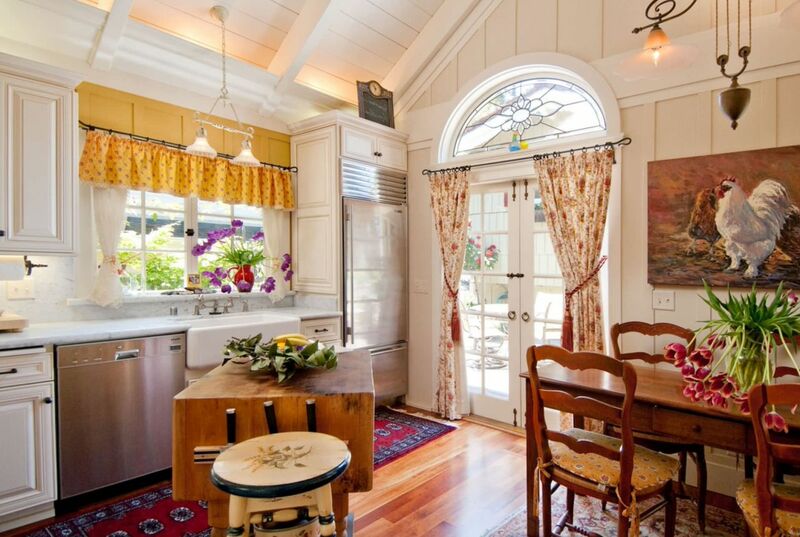 Country style means pristine materials, embodied in the interior items, its covering and decor. Nowadays it is almost impossible to live without modern consumer electronics, yet if you would like to embody the features of this style within your house, it is better not to display modern appliances, but to conceal (build in, hide) them. Regarding the furniture it is necessary to mention that country-styled items should not be ultrafashionable, but to look primitive or even coarse a bit, although there could be some elegant elements (like in French county) used at the time. All interior`s atmosphere is associated with a country house or a villa. The well-known items, perfectly suitable for that, could be the following: stoneware, macram? napkins (tissued by granny and laid on the chest-of-drawers with love), linen curtains or a wooden bench, where our parents used to rest. Such memorabilia create a special atmosphere and energize with kinship. This is what the true country style means! It is unusual for country style to use plastic, linoleum as well as glazed surfaces, as it favors only natural, of true nature materials, used for home decoration. The stone (natural or artificial one) is necessary to use for the floor laying as well as for walls or a fireplace covering. Wooden planks or tiles could be also used as a floor pavement. Walls could be covered with paint or wallpaper with delicate ornamental tracery, while the ceiling is often decorated with wooden beams, highlighting the country style atmosphere. For textile decoration you should select only natural fabrics, such as: flax, cotton as well as chessboard-, stripe-, ornamental-pattern cotton chintz without sophisticated ornaments. All should look nice and simple. Country style will perfectly suit you, if you prefer a comfortable, everyday life-adapted and practical interior with the items, easy to clean, wash, relocate and demanding minimum costs and time to care about. 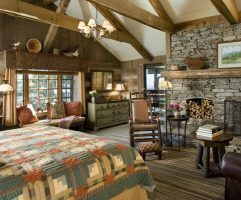 Country style will create a cozy, tranquil and laconic atmosphere in bedroom thanks to the visually pleasing palette, simple surface treatment and nice accessorizes in the form of desk lamps with textile abat-jour, figured napkins or a cover of patchwork. 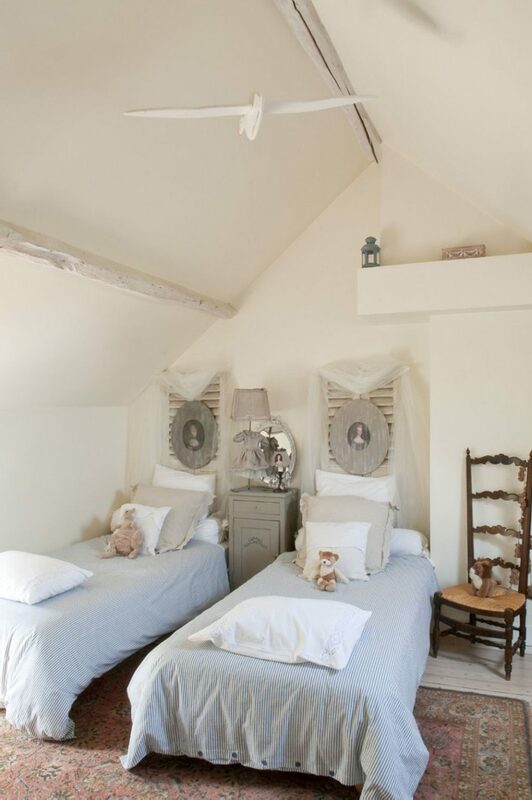 The ceiling in country-styled bedroom should be just whitened; however sewing it round would be the best option. Walls should be smoothed out, ceiled or covered with wallpaper with floral pattern. It wouldn`t be a good idea to inlay the floor with the stone or tiles, as it could be too cold at this room. You should better choose parquet of wooden planks. The general color palette should not go beyond natural combinations of green and creamy, light-blue and white, brown and terra-cotta. The furniture elements could be darker than the main surroundings and could be used as necessary items with additional decoration objects (pouffes, dressing table or mirror in a simple frame). 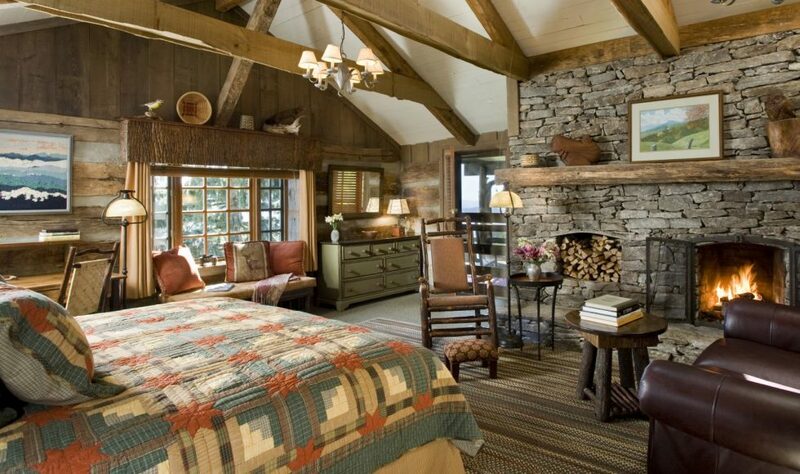 Country style becomes more apparent in the living room in comparison to the bedroom. 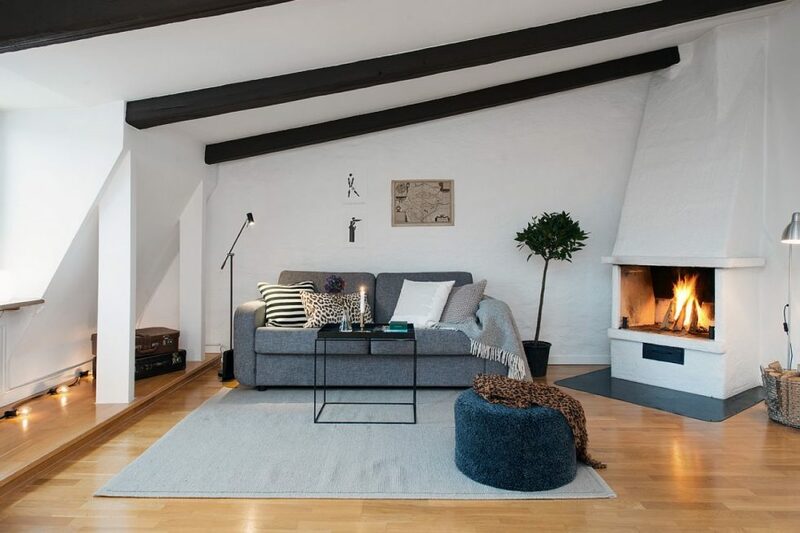 Designers usually highlight the fireplace, decorating the chimney`s portal with tiles or stone masonry as well as with firewood baskets, hammered candlesticks or plates or even a wooden-framed landscape picture. 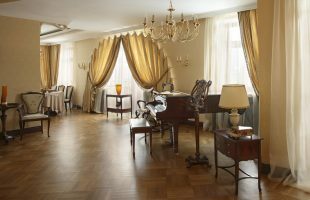 Country-styled floors are tiled, faced with masonry or wooden planks, however in order to enliven the atmosphere it is possible to use different types and materials for coverage. 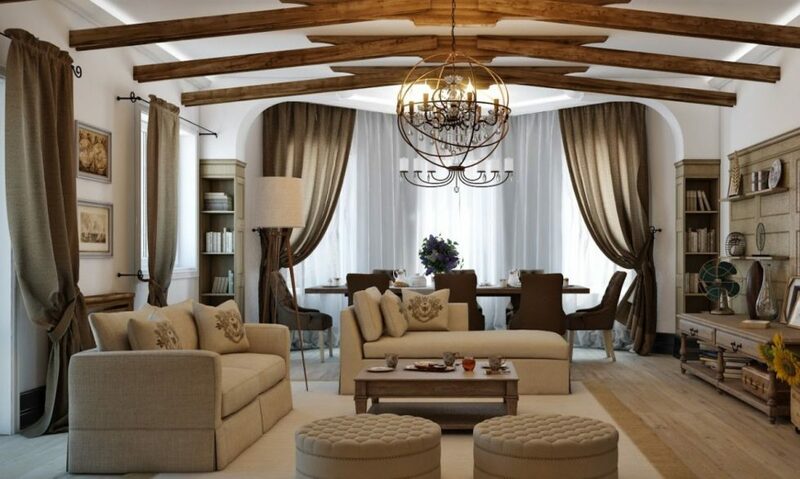 In general, country style in the living room looks cute and cozy if it is implemented within a small country house. If you would like to decorate a big manor in this style, you should implement its details in a wider scale: use more decent furniture, select copious decor elements and decorate high ceilings with wide carved ornamental beams and overlaps. It is worthy of note that the ranking order of furniture as well as compositions’ symmetry aren`t country style features. The furniture is placed in a comfortable for use way, even if it means patternless order. Kitchen decoration is also tends to naturality: plastics on ceiling as well as glass table tops should be excluded from the work zone. On grounds of reliability and usefulness the floor should be tiled, windows and doorway openings should be decorated with light textile, begirded with ribbons. It is possible to set a group of a wooden dining table and comfortable chairs with removable sittings. 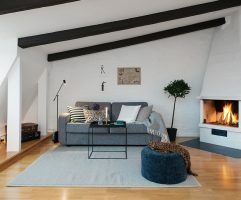 Built-in modern appliances are kept in cupboards and wallpaper-covered walls are decorated with still-life paintings, plates as well as shelves with ceramics and natural flowers in earthenware pots. Hammered-basis ceiling lamps provide the illumination and the ceiling itself is decorated with beams and planks. It is possible to create the county style with all its features in bathroom as well, and the size of room is not of big importance for that. The premises should be decorated as simple as possible at both small and spacious bathrooms. If ceilings are high, they are plastered and painted and the walls are tiled or stoned, just as the floors. The furniture is of unit type and has simple geometrical form. Its wooden items could often be second-hand in the past. Linen baskets as well as hammered towel holders and a bright doormat could also be perfect decorative elements. 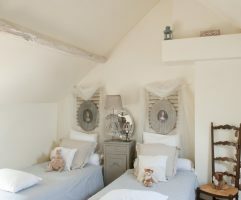 It is quite rare for country style to be embodied within the children`s room, still such type of decoration could be implemented in this room as well. If you have decided to decorate the children`s room in such a way, you should think of sweet rural charm and natural pastel tinctures as for a girl`s room and of atmosphere, full of bright colors of rural landscape as for a boy`s one. In both cases country-style atmosphere would play an educational role for the child and generate the hankering for nature as well as the desire to look after the animals and care with respect to the environment. Apart from that it is quite aesthetical to use plenty of wood while decorating the children`s room in country style, as none of modern artificial materials is possible to be compared with wood in terms of beauty and range of tactual sense modalities. As opposed to other premises, it is better to lay the floor with wood, but not the tiles. Walls could be just covered with drawings or photo-wallpapers with animals or old cartoon pictures. A wall lamp producing yellow warm light, a rocking-chair, cotton curtains as well as bed-clothes with flower-dotted ornament and photos of a child, surrounded by relatives, would look perfectly in a country-styled children`s room.